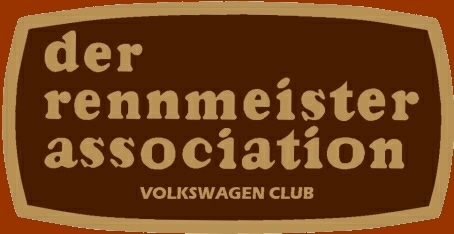 Welcome to the Der Rennmeister Association (DRA) web site. so please visit this site often . We hope you enjoy your visit! ….the Legendary DRA. 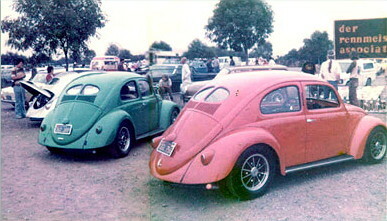 Most VW car clubs in the seventies were social clubs where the only qualification to belong was to be interested in VWs. There were a couple of exceptions with probably the most famous being Der Kleiner Panzers or DKP. 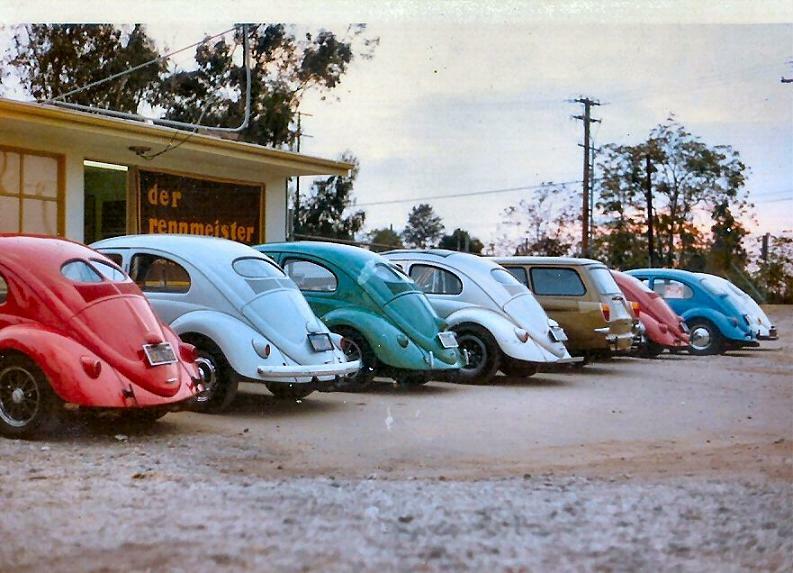 DKP was the first VW car club that focused on performance and where potential members had to meet the high standards of the club and be voted in. 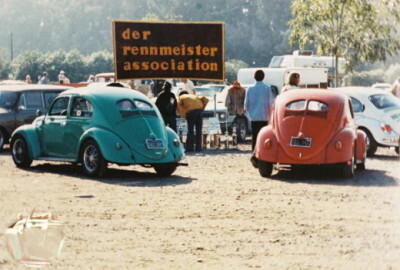 The other such club was “Der Rennimeister Association” (a tongue in cheek and poor translation of The Racing Masters Association), and is more commonly referred to as DRA or more recently, “The Legendary DRA VW Club”. 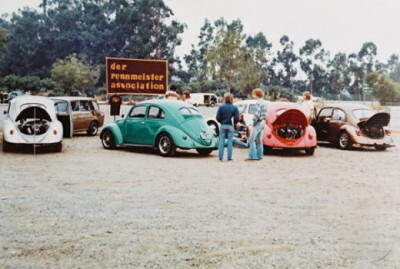 DRA was formed around 1971 by Ed Craig, Stu Smith and Mike Rogers to meet the needs of the true VW enthusiasts of North Orange County, Calif. Only the finest cars were granted membership, making the club very exclusive. Within the first year, the club grew to about 25 members and probably stayed in the range of 25 to 35 during DRA's existence. The car club actually didn't have a real name for the first 6 months, so went by the name "Original Cambusters" at any VW events we attended. This name was never intended are anything but a temporary name. About 6 months into it, we officially became DRA. 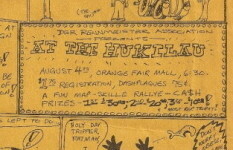 Ed Craig designed the club decal and most everyone thought it looked like a beer can label, but it was the best he could do. The colors were to be Brown with Mustard lettering however the printer screwed up and the color became Brown and Gold, so the club stuck with it. Ed thought both DRF (another popular club) and DKP were a good club standard to follow at the time, so used those colors in honor, (probably more of a mimic of DRF) The club jackets mimicked more of the DKP look. The original goal when forming DRA was to keep the focus on the cars so Ed wanted the decal to be understated. Some of DRA’s original members are still active VW enthusiasts today; Ed Craig, Marc Buehler, and Frenchy Dehoux, among others, can be found on several VW oriented internet forums and still attending VW events. “In the pictures you see the now famous picture of Marc‘s and my own split windows at a Bug-In display. We had at one time as many as four split windows, Marc’s, Frenchy's, Dave Guerra's, and mine. One of my best memories of DRA was showing at a custom car and hot rod shown at the Anaheim convention center. We had about six cars at the show and were the only VW club in attendance. All other cars were domestic hot rods and street cars. Our display was a row or two away from the LA Roadster display. It really felt like we "arrived" with some of the other real classic car clubs in So Cal.